Ritherdon will be exhibiting at JCT Symposium at the University of Warwick, Coventry this September. Find us at Stand E2, where we will be displaying our Atlas Retention Socket and our newest product, the Hinged Controller Base (HCB). Strong grip of post in place. Made out of stainless steel with a 25 year guarantee. We are proud to present one of the finest examples of our clever metalwork, the Hinged Controller Base. 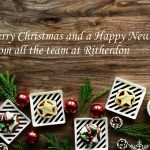 Designed to make signals work significantly safer and less costly, reducing disruption to road users and keeping the traffic flowing. The Hinged Controller Base is a specially designed plinth to aid cable management in the installation of traffic controller cabinets. Unrivalled access to underground cabling. Push fit sealing system avoids the need for fiddly grommets. Allows installation in less accessible positions. Future proof as additional cables can added at any time. Optional jacking system allows a fully populated cabinet to be tilted. We are looking forward to seeing you in September at JCT Symposium and answering all your questions on these two new products. JCT Symposium is dedicated to the traffic signals markets and is the UK’s best conference event for traffic signals. If you are traffic signal engineer and want to keep updated in your field, this is the place to be. So book your place now, if you haven’t done so. 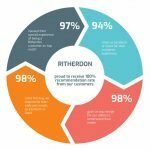 You won’t want to miss out on what Ritherdon have to offer.